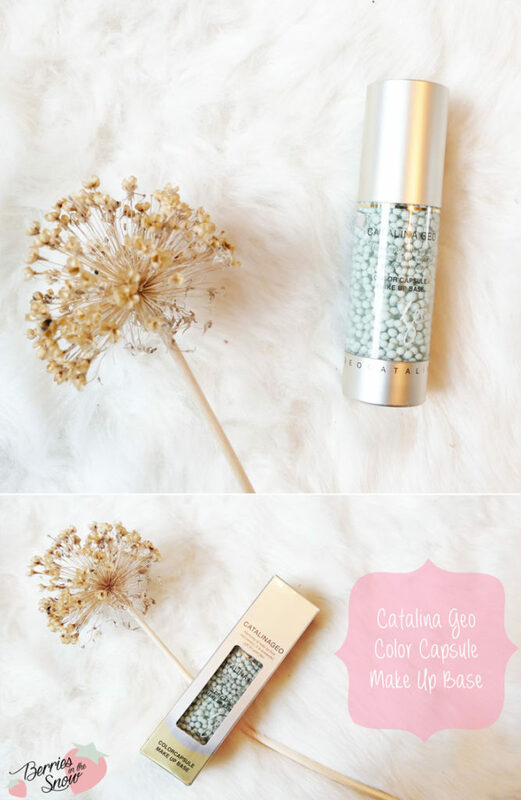 After reviewing the Lafine Vegetable Foam Cleanser by Lamy Cosmetics here is another review of a product from Lamy: Catalina Geo Color Capsule Makeup Base! Does that ring a bell to you? Yes, I reviewed this product before already, but this time I have another color to try – namely the green version! Lamy Cosmetics is a Korean cosmetics company with 6 different cosmetics brands: Renoma, Geo, Sortie, Mennen, Catalina Geo, and Lafine. 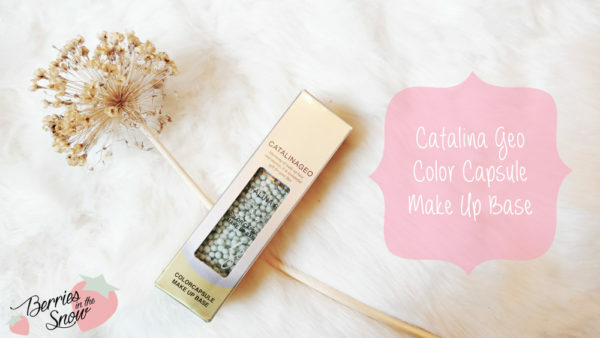 The previous time I received the Catalina Geo Color Capsule Makeup Base in white, and this time I will try the green version of this color correction makeup base. This make up base claims to be skin care and tone adjustment in one product! 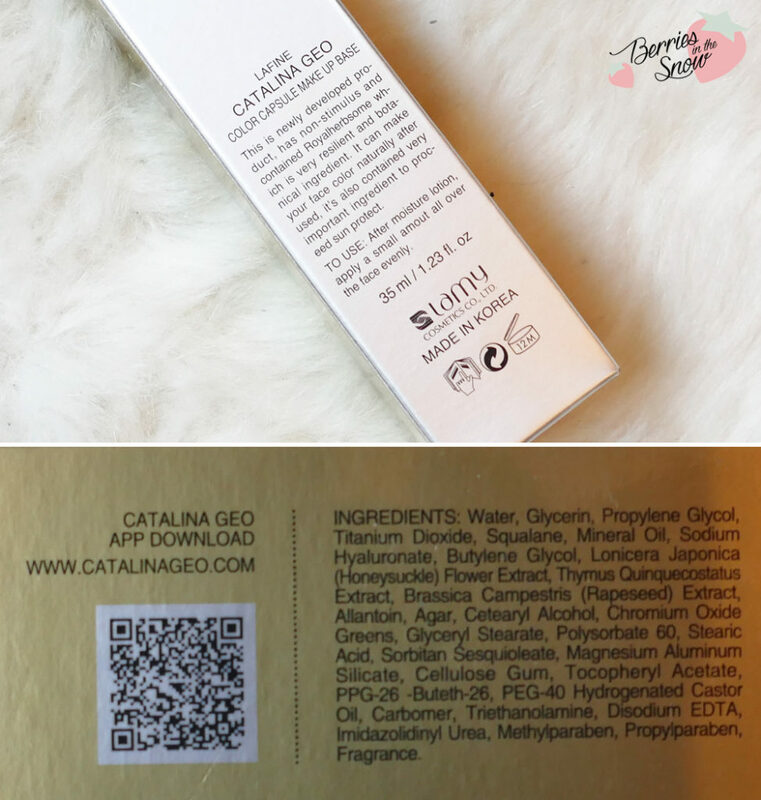 If you read the old review of the Catalina Geo Color Capsule Makeup Base you see that they changed the packaging and the name. Now it looks much more mature and not that princess-y as before. Although I really liked the magical packaging of the old version, too. The cardboard box comes also with english descriptions. There are 5 different colors of the color correcting make up base available. The green color of this Catalina Geo Color Capsule Makeup Base is targeting pimple marks and rednesses and neutralizes the red tones. Moreover, since it contains essence (hyaluronic acid) and UV filter (titanium dioxide), it also acts as moisturizer and gives some sun protection. The ingredients are short and can be checked via COSDNA. Unfortunately, there are quite a bunch of potential acne triggers and irritants included (parabens, mineral oil…). The Catalina Geo Color Capsule Makeup Base itself comes in a see-through pump bottle. 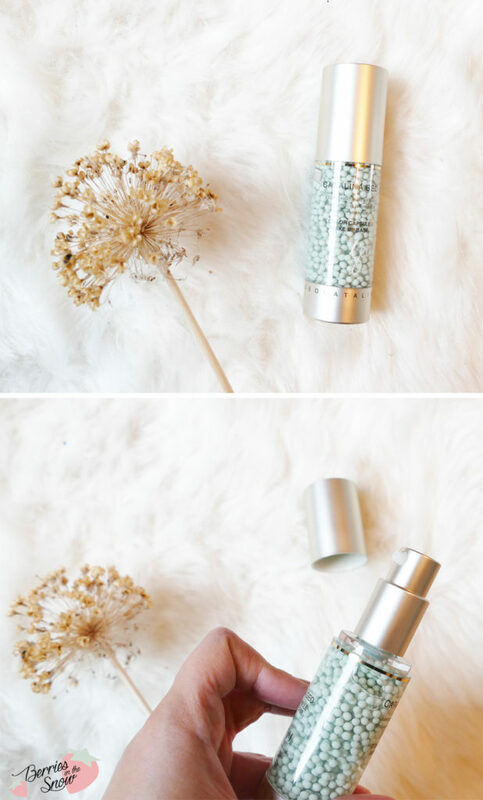 You can see the capsules through the bottle and you’ll know when the product comes to an end. When pumping the capsule bursts and can be mixed before applying the make up base on your face. The pump itself is very convenient to use. Below you can see how the burst capsule looks like. Once it is mixed and blended in you will discover that it brightens up your skintone. It has a light scent, but it is not overpowering. 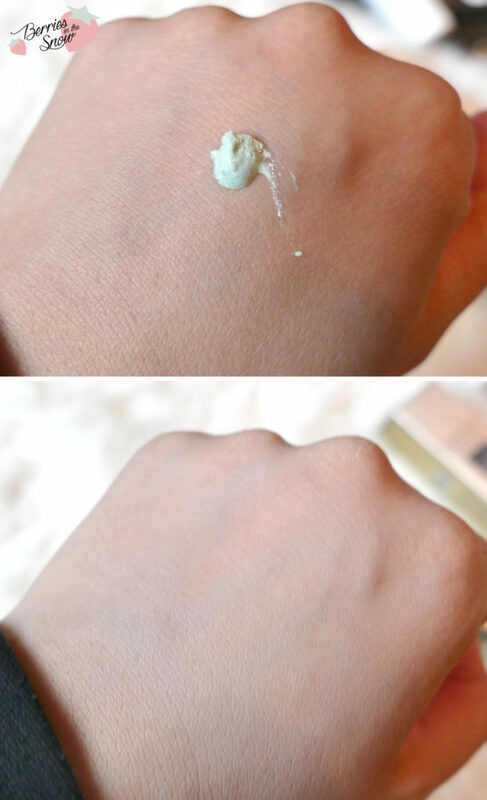 The skin doesn’t feel dry or flaky after applying the base. 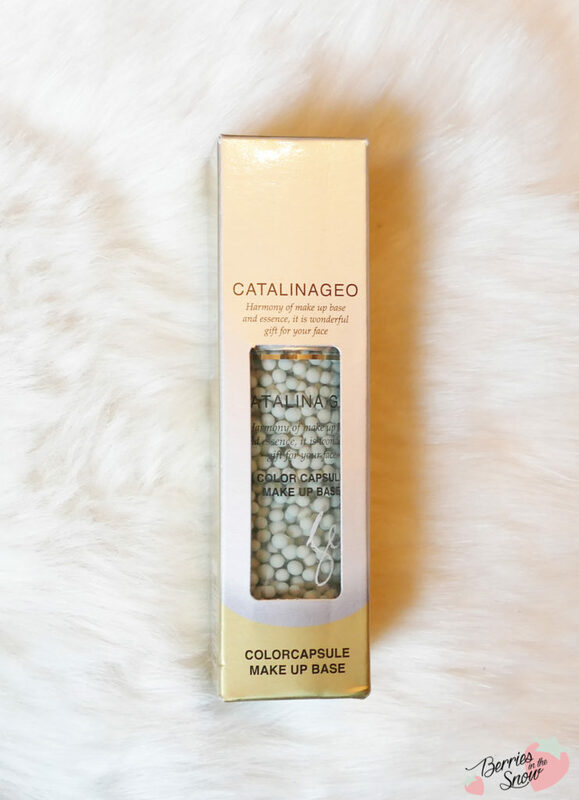 Despite the changed packaging and the different color I must say that the Catalina Geo Color Capsule Makeup Base is not what I’m looking for as a make up base. It is quite moisturizing and suited for dry skintypes, but it is too brightening for me. It also doesn’t suit the yellowish undertone of my skin. Maybe other skin tones will go better with this base. I also didn’t feel that it made my makeup stay any longer than usual. All in all, a good formulation, but too many doubtful ingredients and no obvious benefits for my makeup. 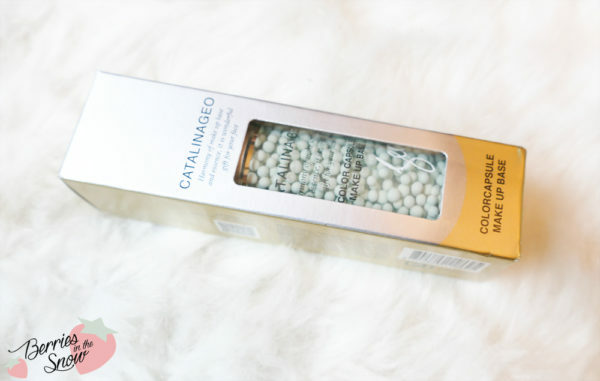 The Catalina Geo Color Capsule Makeup Base retails from KMall24 for 42.75 US$ and the official retail price is at 47000 Won (- which occurs super expensive to me). Agreed, ₩ 47,000 is too steep for a primer that doesn’t work for your skin type! I’ve also tried this product and I think you summed it up very well! It’s really is quite expensive and I couldn’t tell much difference in terms of my makeup longevity either. However, it does lighten skin tone very well, so I think it’s a good product for those who are going after the super white skinned Korean look. Das wäre gleich was für mich, wo meine Wangen doch immer soooo rosig sind. Ich könnte es direkt mal ausprobieren! Das klingt gut und der Unterschied ist wirklich toll! :-) Deine Bilder gefallen mir richtig gut.